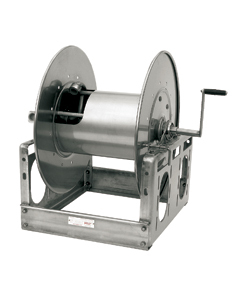 When you need high quality, heavy-duty reels for demanding applications, count on Hannay Reels. 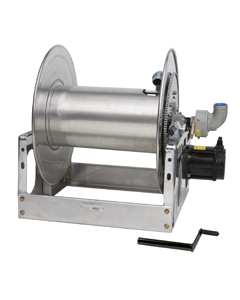 Use our land and offshore drilling reels for refueling and lubrication, washdown, hydroexcavation, video inspection, and more. 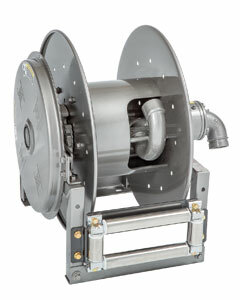 Our custom capabilities, along with product reliability, ease of use, and long life, are the reasons why Hannay Reels is the #1 reel company specified by OEMs and professionals worldwide. 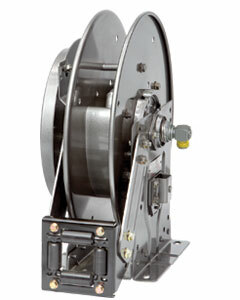 Stainless steel manual rewind reels to handle 3/4" or 1" I.D. hose. 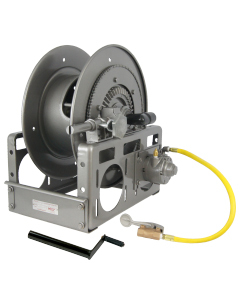 Manual or power rewind arc welding reels to handle #2 through 4/0 cable to 400 amps.